The main role of a guardian is to act in the child’s best interest when the parents cannot do so. A guardianship may become necessary if a relative or another adult needs to become the main caregiver of a minor child. Legal guardians are usually relatives such as an aunt, uncle, or grandparent and are often necessary due to the death, incapacitation, or incarceration of one or both parents. A full guardianship allows a caregiver to assume the full range of legal and physical custody rights that are held by parents. The caregiver must apply for full guardianship through the State court. The caregiver does not necessarily need the parents' consent to try and obtain a full guardianship. 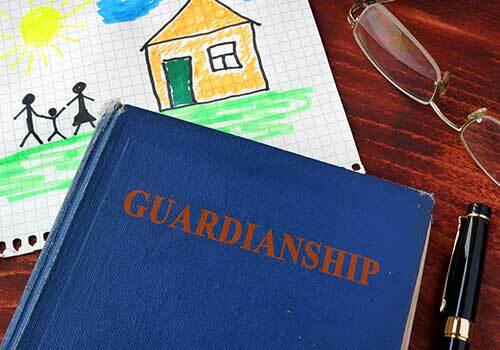 A full guardianship may be appropriate if the parents left a child in the caregiver's home without signing any documents concerning legal rights. A caregiver may also seek full guardianship if the State has terminated the parents' custodial rights or both parents are deceased or absent. If you need to obtain a guardianship, it is important that you consult with an experienced and knowledgeable family law attorney. David Dart has over 25 years of family law experience and knows that the legal process can become overwhelming.